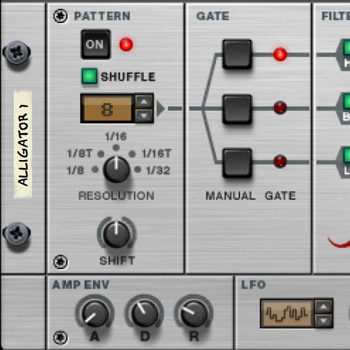 Alligator is a three channel pattern-based gate effect that turns bland pads into rhythmic textures, radically twists your loops, and tweaks boring beats into blockrocking breaks. 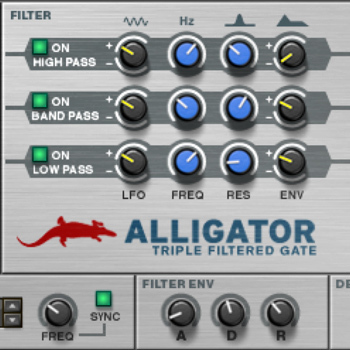 With its three parallel filters, distortion, phaser and delay, Alligator can add rhythm and accents to a flat synth sound, change the feel of a percussion loop, or be a powerful remixing tool. Add it as an insert effect on a single track to change the rhythmic feel of the sound or apply it to the whole mix for a breakdown section to completely reshape your song. When a signal reaches Alligator it is split into three channels, all processed separately. Each channel has its separate gate controlled by the 64 included patterns, triggered from the sequencer, the Matrix and RPG-8 Arpeggiator devices, or via a MIDI keyboard. The three channels are then run through either a high pass, band pass or a low pass filter, shaping the sound of each of the three bands. 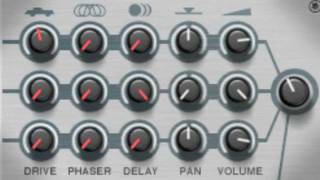 The filters lets you split the channels into separate frequencies, or use the envelope, LFO, and resonance controls to radically alter the sounds. Next up is the FX section where you process the channels with the built-in distortion, phaser, and delay. The separate controls for each channel lets you apply the effects to each channel individually — e.g. 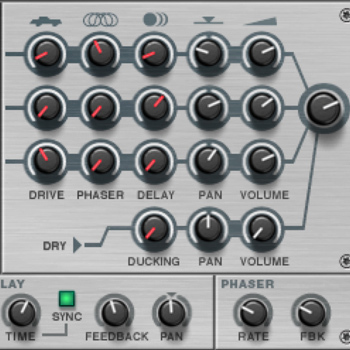 distort the bass harmonics, add a delay to the midrange and put phaser on the high frequencies. Finally, there are Pan and Volume controls. Even a function as basic as stereo panning of the rhythmically gated channels can make for really interesting spatial effects.